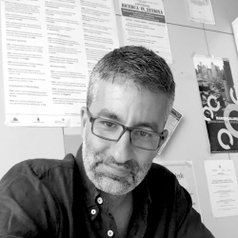 Marco Calaresu is an Assistant Professor at the University of Sassari (Italy), where he teaches Political Science and Public Policy Analysis. He earned a PhD in Political Science at Istituto Italiano di Scienze Umane - Scuola Normale Superiore (Florence-Pisa, Italy). He was Visiting Scholar at New York University and Erasmus+ Visiting Professor at Cardiff University and the University of Malaga. His research interests include security policies and the quality of democracy. Among his recent publications: Security Pacts: the Italian Experience (Eleven International Publishing, 2017); Policing and Urban Control in Rome and Milan. A View From the Southern Edge of Europe, (with R. Selmini, in A. Edwards, E. Devroe, P. Ponsaers, Policing European Metropolises, Routledge, 2017); Governing by contract as a way to reduce crime? An impact evaluation of the large-scale policy of security pacts, (with M. Triventi, in Policy Science, 2018).